Certified nursing assistants are responsible for administering more than 90% of the total direct patient care in Georgia. 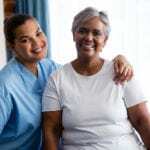 Before Georgia nurse aides can provide nursing-related services to seniors and patients with chronic conditions, they must complete a Nurse Aide Training Program (NATP), approved by the Georgia Department of Community Health (DCH), and pass the Nurse Aide Competency Evaluation. Alliant GMCF administers the nurse aide evaluation and maintains the state nurse aide registry. State-accredited training providers must facilitate a minimum 85 hours of training including 61 hours of classroom and lab training plus 24 hours of clinical practicum. Following is a list of approved training providers in Marietta, GA.
Cumberland Health Training Center is a GMCF-approved training provider. The school is also an approved testing for the administering the state nurse aide evaluation. Therefore, students can choose to take the national certification exam at the same facility. The 93-hour training program comprises of 63 hours of classroom training and 30 hours of clinical practicum. Experienced instructors use lectures, demonstrations and interactive discussions to give students the skills they need to succeed on the job. Convenient day and evening classes are available to accommodate varying schedules. Cumberland Health promises small class sizes, low tuition and flexible payment plans for all students. Avett Quality Service Inc. provides a state-accredited nurse aide training program in Marietta, GA. Day students complete the training in 15 days (Monday through Friday) and evening students complete training in 22 days (Monday through Thursday). Experienced instructors use classroom lectures, demonstrations, presentations and hands-on lab to give students the knowledge and skills to succeed in an entry-level nurse aide position. At the end of the classroom/lab component of the course, students transfer to a local facility for clinical experience. Applicants must pass a pre-assessment English and reading comprehension evaluation, provide driver’s license and social security, and pass a criminal background test and TB Skin test before admittance to the program. Tuition is $595 plus the costs of textbooks and supplies. Students must attend a mandatory information session before admission to the nurse aide certificate program at Chattahoochee Technical College. Students earn 30 to 35 credits at the end of the program and would have fulfilled the requirements for advancing to the college’s nursing degree program. In order to complete the certificate-level course, students must complete English, math, psychology, anatomy and physiology, medical terminology, introduction to computers, introduction to healthcare, diet and nutrition and nurse aide fundamentals. Most graduates complete the program in 16 months and are eligible to challenge the state nurse aide competency exam for listing on the Georgia Nurse Aide Registry. Tuition is $3,402 plus $1,181 for books and supplies. 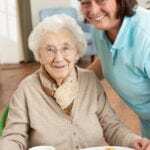 The nurse aide training program at Metro Medical Training Center prepares students to provide assistance to residents at long-term care facilities. During the three-week program, students learn how to take vital signs, provide basic care, follow principles of good nutrition, use safety and emergency procedures when needed, manage information, demonstrate interpersonal skills and cope with death and dying. There are no prerequisites for enrolling in the program. Graduates are eligible to challenge the state exam for listing on the nurse aide registry. Tuition is $575 plus the cost of books and supplies. New Beginnings Career Center Inc.
New Beginnings Career Center Inc. offers a day, evening and weekend CNA program in Mableton so that you can fit education into your busy schedule. 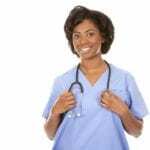 They not only train you on how to become an excellent Certified Nursing Assistant, but also help you prepare your resume and get you prepared for interviews. Because they are a nonprofit, they can help provide you with tuition assistance if you need help. They also offer payment plans. Tuition is all inclusive, meaning your fees cover everything you need to be successful in the program: Uniform, Books, PPD testing, CPR, lab supplies, Resume, Blood Pressure cuff, Stethoscope etc. NBCC Inc. is an GMCF- accredited program for the state of Georgia. Call or visit their website for more info about getting started with them.